TV can be a source for inspiration, after watching a re-run of DDD, I had to make this dish. 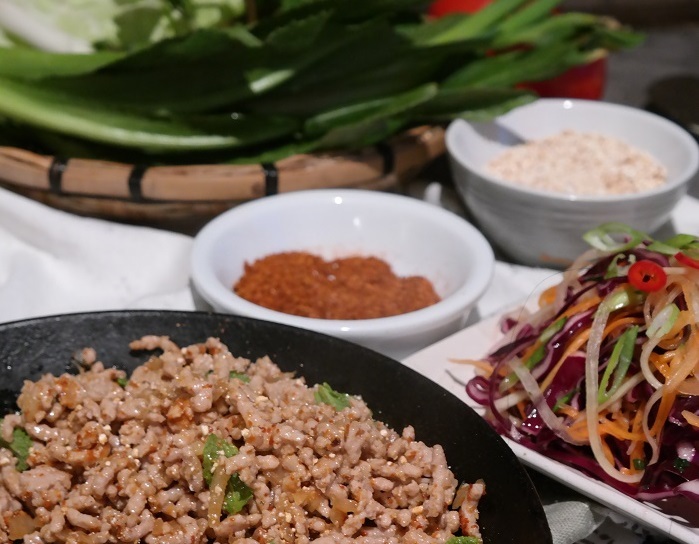 Larb (ลาบ) is a mince meat salad, and regarded as the national dish of Laos, but this dish is also known as a Thai dish from the north-eastern region of Isan. 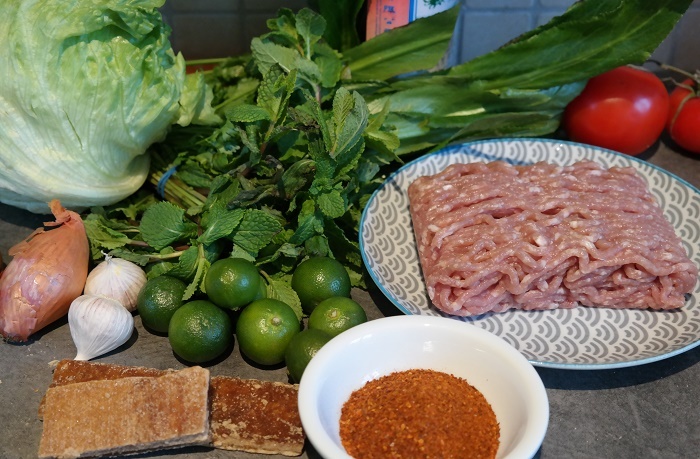 The minced pork is wonderfully seasoned with fish sauce, chili flakes, lime juice, toasted sticky rice for texture, and an assortment of fresh herbs to bring it all together. Fry uncooked sticky rice in a dry frying pan on low to medium heat, Stir continuously, roast the rice until it turns from white to golden-yellow and fragrant, almost like popcorn . It takesabout 15 minutes or so. Once the rice is finished roasting, and has cooled off a bit, put it into your stone mortar and pestle. Pound the rice until it turns into a coarse powder or use a blender or food processor. 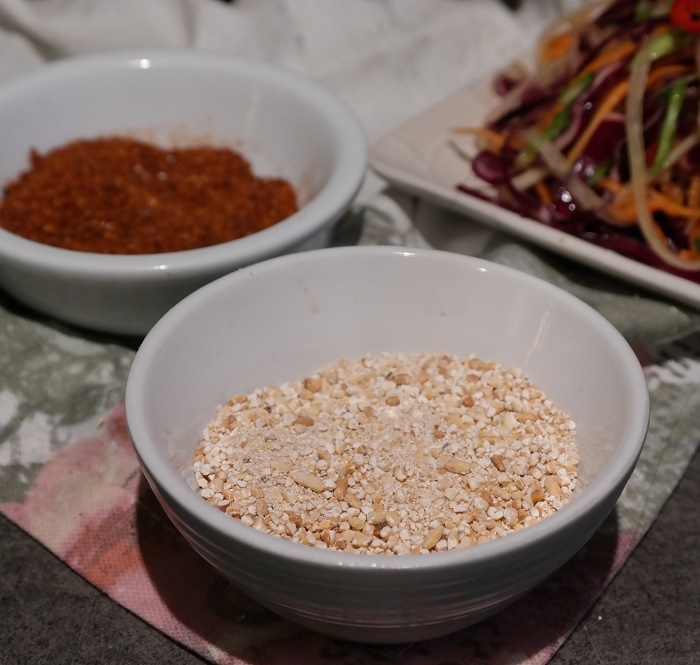 Put your toasted sticky rice powder in a bowl aside. 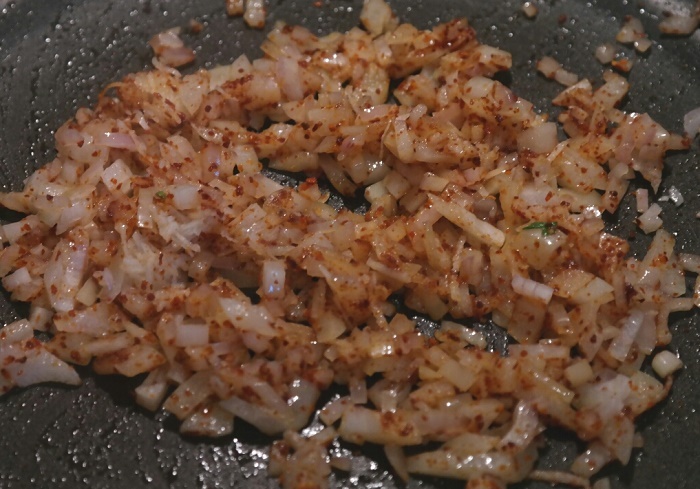 Saute shallots, garlic in a pan with oil, when the onions are glossy, add the chili flakes and stir before you add the minced pork. Take the pork off the heat, and add palm sugar, fish sauce, Sriracha sauce and squeeze in the lime juice. Give the pork and the seasoning a quick stir, pluck about 20 or so of mint leaves off the stem. Throw everything into the saucepan with the pork. Taste test. See if it needs more fish sauce for saltness, lime juice, or chili flakes. Get it the way you want it. 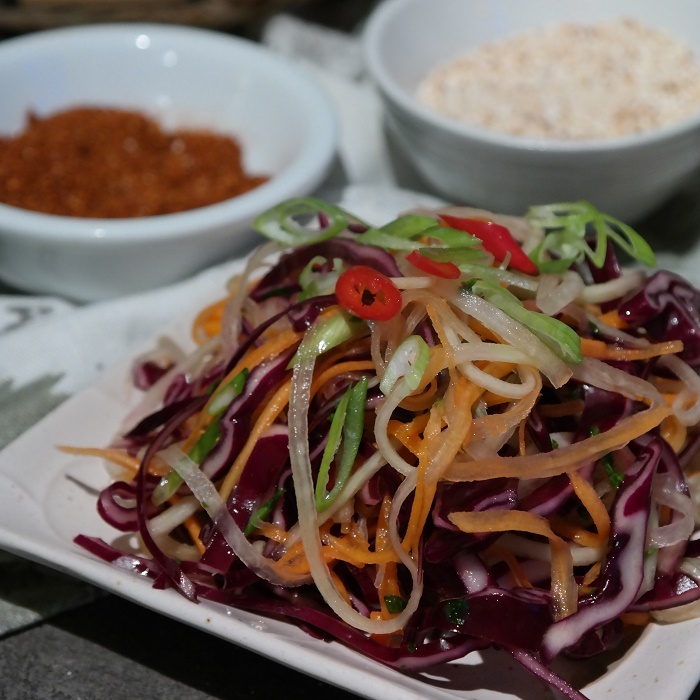 Serve this with a green papaya salad or the papayaish slaw I made. 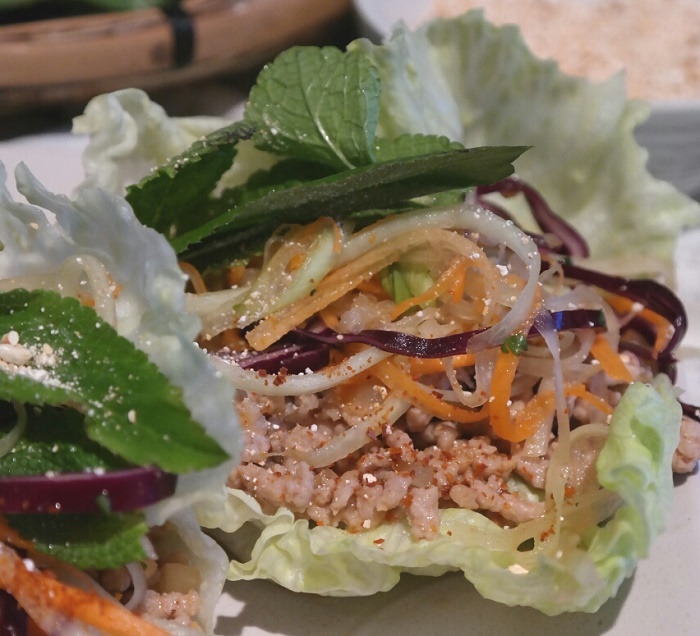 Place a large spoonful of larb in a lettuce leaf, top with papaya salad fresh herbs and more crunchy rice.